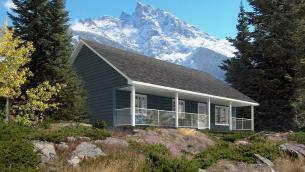 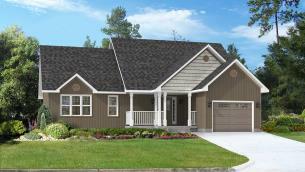 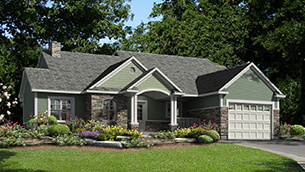 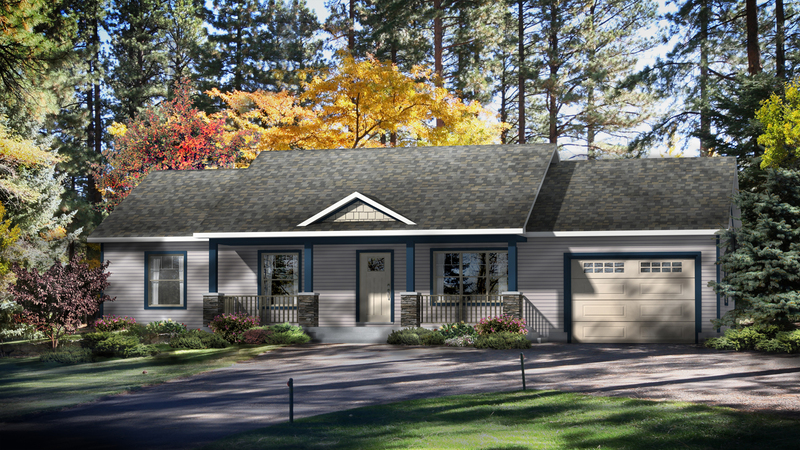 The Kimberly II is a picture-perfect starter home that has a classic ranch style layout. 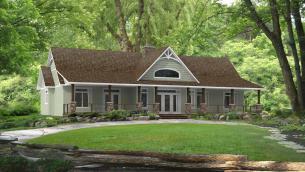 The front entry is quite welcoming with a big covered porch and numerous columns, producing charming curb appeal. 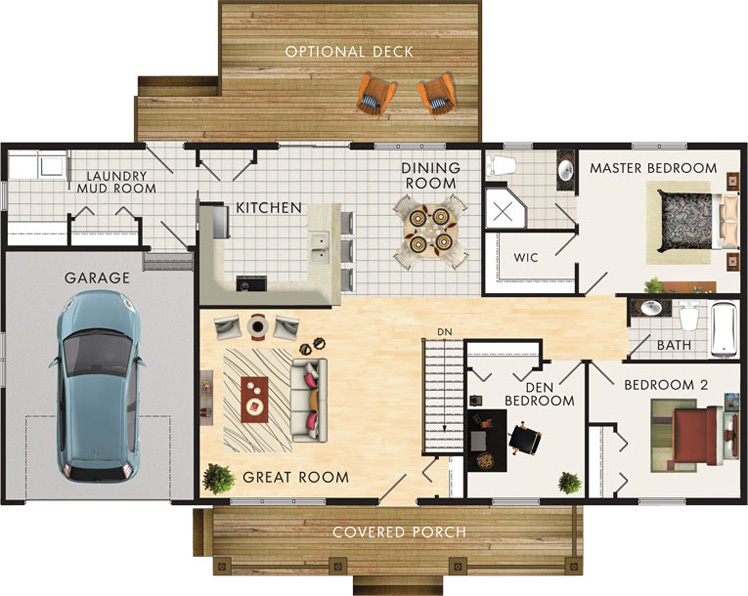 Also, included in this home is a U-shaped kitchen with a generously sized pantry and peninsula with extra seating. 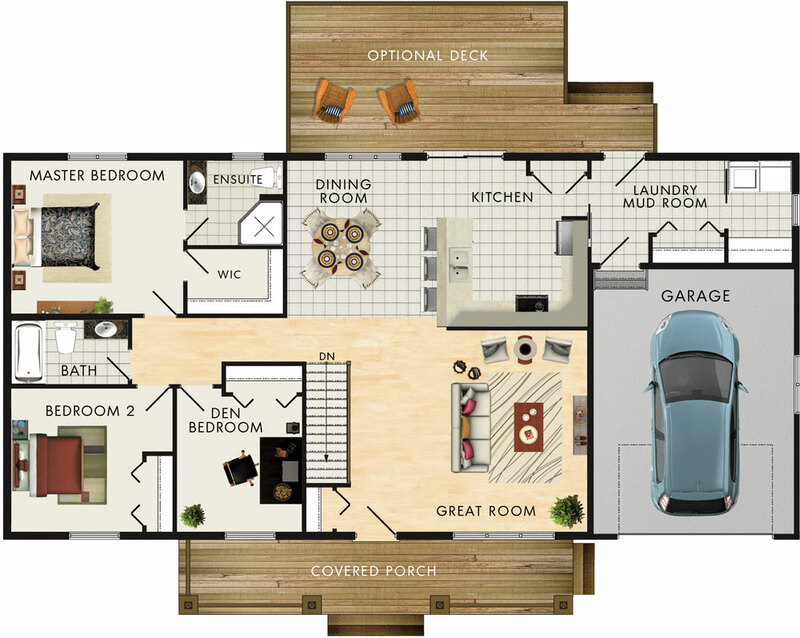 This plan houses two bedrooms and a den, which may also be used as a third bedroom or whatever works best for your family. 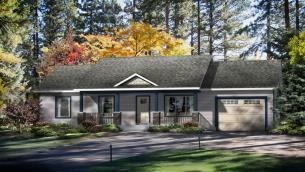 Another great feature is the laundry room that doubles as a mudroom with extra closet storage and access to what could be a rear deck.